I'm not sure where it came from, but as I was walking to school yesterday morning Midge started talking about the school and their Facebook page. Then she asked if they had anything else that had them on, which I replied yes, they have Twitter and a website. Midge looked up at me slightly unsure for a second and then said "I no longer want to be on the schools' Facebook I don't like it. Or their website." I still havent managed to fully understand where this has all come from. She isn't alone, there are at least 5 other children in her class who are always positioned carefully out of photo and filming view, she will now be one of them. I went to the school as soon as I had seen them both off and spoke to the receptionist who promptly gave me forms, which I filled in there and then and that was that, no more Midge on the website or social media. I'm absolutely fine with that, especially Twitter, which I'm not 100% sure about as a parent but that's a different discussion! Later in the day we spoke some more, I think she's been learning about the Internet in school and it's suddenly dawned on her that people ALL OVER THE WORLD can see not only what you write, but also YOU. Funny how an 8 year old can get something so much quicker than most teenagers and even adults! I wondered something then, "Midge," I asked, "what about Mummy's blog?" "Can the whole world see that?" I replied that yes, they can. 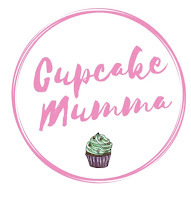 Midge has asked me to no longer share photos of her on Cupcake Mumma. Little A will feature a little, but I don't want to have him on here too much because I feel like I'm not including Midge. Our photos will be printed and kept in albums as usual but the blog will be a Midge photo free zone. I am informed that her feet, hands and awesome clothes are still available for blogging purposes should I so wish to use them!! She doesn't want to miss out on a review after all! I feel incredibly proud that my 8 year old daughter has had the confidence to tell me she no longer wants these things. She may be mine but she is not mine to share. Midge is starting her own blog where we will get creative with photos, this is to show her how fun the Internet can be. I don't want her to fear the Internet. I have shown her how private my Facebook is, gone through the list and can say who those people are so she is happy to still be featured on there, I did have to admit that going through over 600 posts looking for her face would be a tall order so perhaps we'll draw a line from here on in! Today I feel proud of my daughter and also a tiny bit proud of myself too, for truly listening to my daughter. This is the beginning of teaching her about herself, her own person, her own body and how it is up to no one else BUT HER what happens to it be it standing up to a fellow peer shoving her in school, posting a photo online or anything else. Do you post photos of your children online? Have you stopped because your children have asked? This actually made me emotional to see how grown up our Midge is! I feel so proud of her too and I wish all children were as aware of the far reach of the internet as she now is, though like you say it's good to show her the positives of it all and understand that it's still a good place. You're right though, most teenagers aren't remotely aware of this, or don't even consider it so I hope she carries it with her to her teenage years and, as I'm sure she will be, is wiser than most teenagers when it comes to sharing things online. Well done to Midge for speaking her mind and to you Hannah for respecting her privacy and wishes, sadly it's become the norm to share every aspect of our lives on social media, I do try to be careful about how much I share and will teach my little ones the same when the time comes.